EveryGuyed, in association with Suitored and Moxy Creative House, presents Mixed Reviews: 20 Classic Men’s Movies Liquerated. 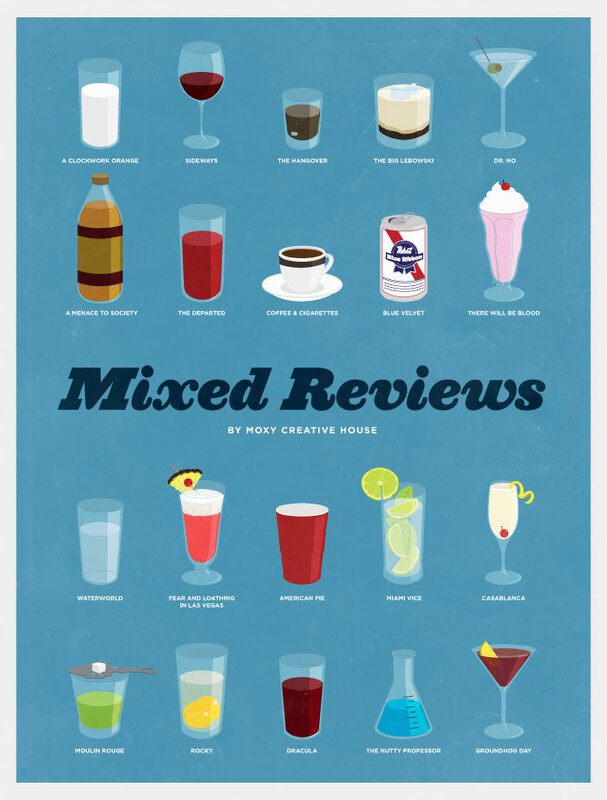 The collection illustrates movie moments ranging from The Hangover’s recent rufilin mishap to A Menace to Society’s classic 40-ounce malt liquor bottle; and for those of you that cannot appreciate the allure of intoxication, there are even a few non-alcoholic beverages included. Designed and illustrated by Glenn Michael. See the whole collection at Suitored. This entry was posted in Feature and tagged Classic Men Movies Liquerated, Glenn Michael, Mixed Reviews. Bookmark the permalink.